Ordering bikes online is becoming more and more popular because there are no shop-keeping or warehouse costs making the cost even less! Asking why? It’s because that is only told by salesmen who know that there are decent bikes on the online market. There are many good methods to choose a good bike. I’m gonna show you THREE (actually SIX!) METHODS if you don’t know, how to measure a bike. 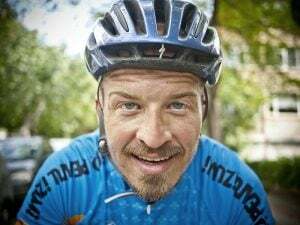 What’s the best insurance for Cyclists & Bicycles? Take off your shoes and stand with your legs about 15-20 cm(6” – 8”) apart. Measure the height from the ground to your crotch. Be sure of the type of bicycle you want: Mountain bike, city bike or road bike. You can read about the different bike types from here. has a very important role. If it’s too low, you won’t have enough power in your feet. In mountain bike racing, I have experienced that when the saddle falls one inch down from normal, I lose about 25-50% of my force. I better stop and let the group go, then fix it and lose 15 seconds but I do catch the group and can even get the next group ahead. So the right saddle height plays a big role! But your leg to lowest point but parallel to the ground. Move your saddle up or down until you have nice bend behind your knee. It should be something around 30 ° but don’t waste too much energy finding that exact angle. Go out and ride. Does it feel good? If not, then adjust. Also, you can adjust the seat to front and rear. TIP: If you got the right height, mark it down with some sharp object. That’s the best size chart ever 🙂 Some bikes have centimeters marked there, then keep this in mind. I find this very confusing! Also, I’m sure you have noticed that women tend to have much longer legs than men do for the same height, (while men have longer bodies) and your charts are clearly geared towards men. You need separate charts for men and women. Even your chat using inner leg length is way out for me (as a female). You are right – leg inseam method is not the best for women. Feel free to choose your bike by looking for overall height. Really helpful and comprehensive information on bike size. It’s to pick the right size for me without trying. However, with this bike size chart, I can easily find the most suitable bike. Already shared it with my friends and bookmarked it. Thank you for making the comprehensive guide and nice infographic Jeff. I am 157cm. what frames size do I need to use in mountain bike 29, road bike and TT bike? Information which you have provided are really useful for the all people. Thank you so much for the information. But i need to know one thing, Let consider my height is 6.0” but i bought frame size M/L or ( 16” to 19”) frame size bike. Can I adjust the saddle based on my height or that is not recommended. If not recommended please let me know why? Yes, you can adjust your saddle to the right height. It’s a final tune to get the right fit. Hi I’m confused. Your charts have a maximum 22 inch frame. Yet you have a 29 inch, and think 26 is tiny. Are you a giant or am I misunderstanding something here…? Hi Jeff! What is the best place for Christmas pressies? I want to buy a bike for my 2 y/o daughter. I seem to fall in between frame sizes. I am 6’4 with a 33” inseam. What would you suggest. Depending on the models. Look the merchant’s size charts. Everything above 19″ and 62cm on road bikes will work. Hi I need a three wheeler bike for my 5ft daughter will 24″ suit? It’s hard to tell since, according to the charts, that is one size smaller than the one you would ideally need. However, with smaller adjustments, you could make it work. If possible, give it a try to see how it feels. Thank you for this information! One question… how should we factor in wheel sizes? Is there a rule on choosing wheel size? I have awful trouble with bikes… never seem to quite get the right size.!!!! Since size graphs are quite standard, you might want to try bikes in your local bike shop. Be ready for some stem and saddle adjusts. I want to try biking again and want to buy used to start. I’m looking at a ccm 26 inch frame I’m 6’4 would that fit me? I am searching a bicycle for my daughter whose overall height is 46 inch and inside leg height is 21 inch. This gonna be her first cycle for learning. 1) Could you please tell what would be correct frame size, wheel diameter size for her. 2) Does purchase from online sites like Amazon or flipkart, will land me in trouble by missing some items in package since they are partially assembled. 16″ to 18″ frame should be okay! My height is 5”5 & inseam is 70 cm.. I want to buy Roadbike. Should I go for medium size? Is there any specific difference between mediuyand small size? Because one of my friend have medium size and he wants to sell it. Hello Swapnil, it seems that a Small size would be more suitable for you. However, it depends on the proportions of your body. Since you’re looking to buy a bike from your friend, it’s best to give it a try and see if it fits. If it’s too big, try adjusting the saddle height and using a shorter stem. Cheers! You might want to check the bike fit article. 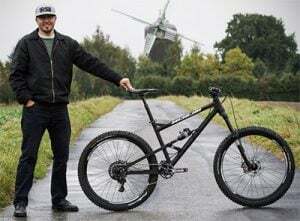 Hi Joel, BMX bikes use a slightly different sizing method. The best size for your son would be the so-called Pro frame. It has 20” wheels and a top tube length of 20” – 20.5”. Hi Jeff, I also have a lot of trouble finding a good bike for me. I am 1.51cm height, 32-year-old woman, also I am not too good riding and get terrified of falling over. last time I bought a girls’ bike, with 24” wheels, because I wanted to be able to put my feet in the ground. But to be honest, I feel the bike doesn’t quite fit me! I am considering getting a new one. What would you recommend I look for? Hey Adriana, I think a regular 26” women’s bike with a step-through frame should be good for you. It will fit you well, and it will be easy for you to put your feet on the ground. Good luck! I find your article very useful. Great work! I am 5’7″. I got a bike size of 58cm before reading your article (i wish i read it before). Do you see a problem in long run? 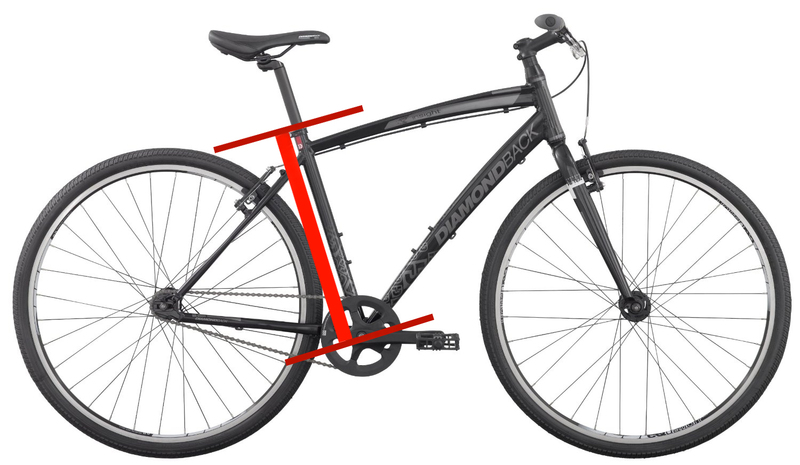 Or adjusting saddle height and position is ok. I’m using it to commute to work, roughly about 16km every day. Regarding your bike, it’s definitely too large for you. Adjusting the saddle could make it feel better, but it will never make it feel perfect. However, if you feel no aches and have no problems during or after riding it, I say just go for it. Hi Jeff, I fall in between 2 sizes. I am 5th 6 inches which is the max height for S and minimum height for M. For a road bike which size should i choose? Iam looking to by a hybrid for city ride and could you please help me in providing the frame size and tire size as well.. Iam 5’5..
Hi, thank you for this guide. Im a 5’8 woman, slim build and a 31″ inseam. Hi Gerald, it’s hard to say. Ideally, your leg should have just a slight bend in the knee when you extend your leg fully on the pedal. Play with it until you find a position that feels comfortable. Moving the seat back or forward may be okay for those who ride once in a while. It can affect power transfer or cause pain. The solution is to get the right bike fit. I once bought a used road bike that was one size too large. The staff didn’t seem to know that it was too large and I thought that feeling stretched out was normal. I ended up giving it to my friend who’s a little taller than me. 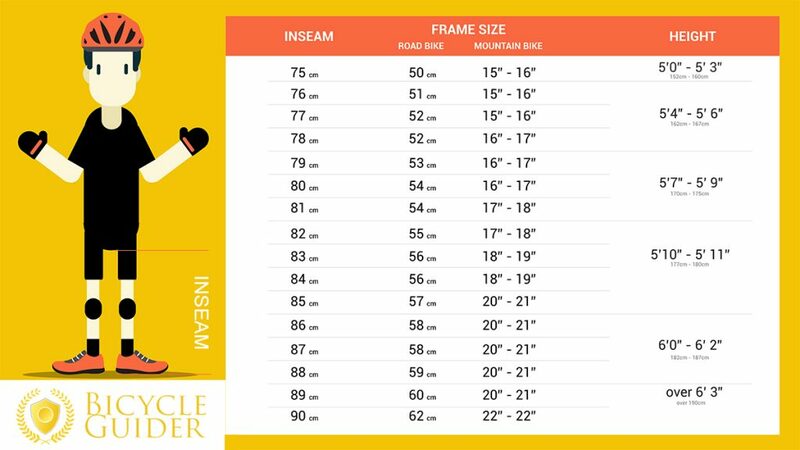 I am easily confused, looking at the various ways to chose the right size road bike, I believe one chart shows an inseam of 78cm equals a bike size of 53cm. Another chart shows height of 5.9 to 6.0 feet equals a bike size of 56 to 58 cm. I am looking for a flatbar bike and I see the Kestrel RT 1000 Shimano 105 advertised for $1,115.00 but I am not sue what size to order. I am 5 feet 10.5 inches tall and an inseam of 31 to 32. Can you help me with what cm bike to purchase? I’m 6’9″ and 355lbs. Other than an immediate XXL mountain bike, what is a good way to find something I don’t feel I’m going to break? I have 3 kids 5 years old and younger and I want to be able to ride with them. I also don’t want to spend more than $400 on a bike so my best bet would be to find a used one. What are some models that I should be looking for? I am 5’ 8” tall withan inseam of 29 inches. I just got a 51 cm road bike. Will this be okay for me? My height is 170cm and what should be my bike size? Hi jeff , i want to buy a bike . My height is 5.6 feet. What is my perfect bike size ? I wanted to buy a used Fat Tire bike on Ebay, but it is M size frame and I need XL for my 6”2 height. One thing I am trying to understand: the distance from the tube where saddle is to the tube where handle bar is. Is it the same for M and XL sizes? Could I just adjust the saddle on M frame to fit my height but still be comfortable on the bike? Show me the bike and I can share more information. This absolutely BS. Every person body is different so every person needs to try different frame geometries and sizes in order to find a good fit. Looking for a roadbike, but I’m seeing a lot of sizes in inches not cm. Do u have a conversion chart??? I’m looking to get a hybrid bike for my wife’s birthday. She is 5’2”. Would a 15” frame with 28” wheels work or does that seem to big? Hi I’m 5″9 and seen the perfect road bike for sale but it has a 21″ frame will this be to big for me? Unfortunately the bike is located quite a drive from me so trying it before I buy ain’t an option. I owned a road bike ‘ Felt’ brand with the size of 54 cm frame. I’m 170cm tall. Is there anything wrong with the size of the bike? Before this, i used to ride with MTB for 80km with no problems. But with this Road bike, I ride only 30km and my legs get cramp always. Is there something wrong with my bike? Hey Jeff! Thanks for this article. It’s great. One question. I seem to be on the cusp of small and medium sized frames. I’m a female, 5’5” and 3/4, with like a 78 cm inseam. I saw a used Trek road bike for a great price with a small frame (52), but based on their website I could go either way with a 52 or 54 frame. It’s a nice investment, so I don’t want to get stuck with a road bike thats too small. What would you recommend? Appreciate your help! Hi there. Some asked this alr3ady but I was curious because 5’6″ is the cut off for two sizes on road bikes. It is the max at one size and the minimum on the next size up. Which is 5’3″ to 5’6″ and 5’6 to 5’9″. That is a big range. What do you recommend? If possible, it’s best to give both sizes a try and see which one fits better. This is a foolproof method. 🙂 Alternately, you can try to figure out your “Ape index.” Measure your height and your arm span, and then compare the two. If your arm span is greater than your height, go for the larger size. Otherwise, go for the smaller size. I am 192cm tall, what would be my correct bike size? 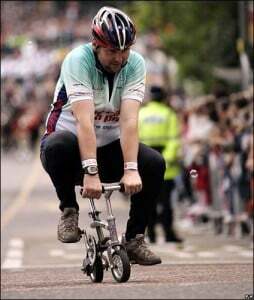 The best bike size for your height is 18″-19″ or XL. It would be best if you first gave the bike a try if that’s possible since, depending on the manufacturer, an XXL frame might fit you fine as well. I haven’t ridden a bike in a while. Would a Women Hybrid bike be better for someone who doesn’t ride often and would a 26” be good for my height (5’ 3”)? Do you recommend a good brand? I’m going to buy a Vitus Sentier 275 MTB. I’m 5’8″ with 33″ inseam. Medium would fit my length, large is recommended for this inseam. It has been ages since my last time riding a bicycle. I am now looking for a city bike to use on weekend basis for recreational purpose. Recently, my husband bought a Retro Bike model: 7-SP, Brand: XDS. I found it a bit hard to handle as I am an asian petite woman (height: 149 cm, weight: 45kg), appreciate you could suggest the right size of city bike for me and perhaps the brand as well. Anyway, I want to ride a bike with my son seating at the back too. I’d bought Argon 18 go! (XS) for my wife and her height is around 162cm. Are this bike size really fits for my wife or I’d wrongly bought incorrect size (my friend told me i should get S size)….i’m a bit confusing right now. I plannning to get another bike for myself…most probably Giant TCR Advanced…my height is 164.5cm and one retailer suggesting me to get a XS size too. But i want to get S size,…is there any problem with my choice or should i listen to retailer’s advise and stick to XS size…? Thank you in advance! XS seems about right for your wife. However, in your case, it seems that both S and XS would be good, according to Giant’s sizing guide. But, I’d recommend going for the larger size and choosing S.
I really appreciate this article…but I am still a little confused. I am a 6’2″ woman with a 37″ inseam. Long limbs, with a short torso. 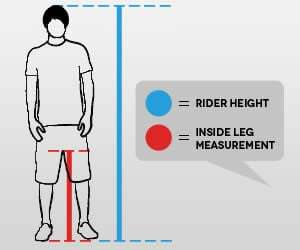 I was going to attempt to purchase a commuter bike online, but the size charts do not line up due to my leg length not matching my height. Could you help please? Thank you so much! Im 5 9″ what frame is good for me. I need a mountain bike. My sis is 5ft. Im willing to buy a bicycle for her. plz suggest which bicycle should I buy? Seems like your article is written for bike height not frame length. A 6’5″ rider can end up with to much stress on their hands, wrists, elbows, shoulders, lower back, hips, and knees from squeezing into a short frame with big wheels. You should add that. Meanwhile I will look elsewhere and hopefully find the info. What you did list was good though. Hi I’m 5ft9.5 with a 32.5″ inseam and a hefty +15cm ape index! (monkey arms) I am looking at buying a 55cm orbea orca (they recommend a 53 on the website) I only have the option of a 55 as it’s clearance stock. They seem to recommend smaller sizes than most other companies. Do you think it would be OK? Jeff, I desperately need your help. I’m looking at the Santa Cruz Megatower 29er or the Specialized Enduro 29er, maybe the Stumpjumper 29er. I seem to fall between a L and an XL. I’m 6’1”-6’2”, inseam 32-33. Which size would you recommend?